Positioned at the base of the Southern Alps of New Zealand and hours drive from Christchurch, Methven is a welcoming town for visitors looking for adventure. Southern Cross Lodge is located in the heart of Methven. Facilities at the lodge include a large lounge with pool table and cosy fire, separate dining room, large function/meeting/training room and swimming pool. 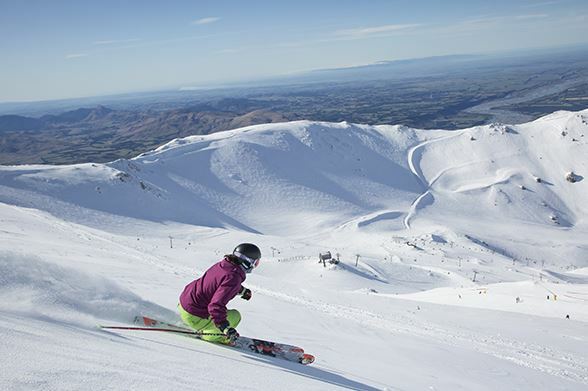 Perfect place to experience an authentic NZ ski trip! Based on a group of 20 students & 2 teachers. Airfares are available. Please enquire for a current price from your closest airport. Arrive in Methven and settle into accommodation. Get fitted for ski or snowboard gear in the afternoon. A 2 hour lesson at Mt Hutt followed by free skiing for the afternoon. Experience a local Jet Boat ride for the morning and spend the afternoon exploring Methven or spend the day in Christchurch. Depart Methven for Christchurch Airport. *Jet boat ride not included in advertised price but can be added, along with numerous other adventure and cultural activities. Please ask us for options. © 2019 Absolute Travel. All Rights Reserved.